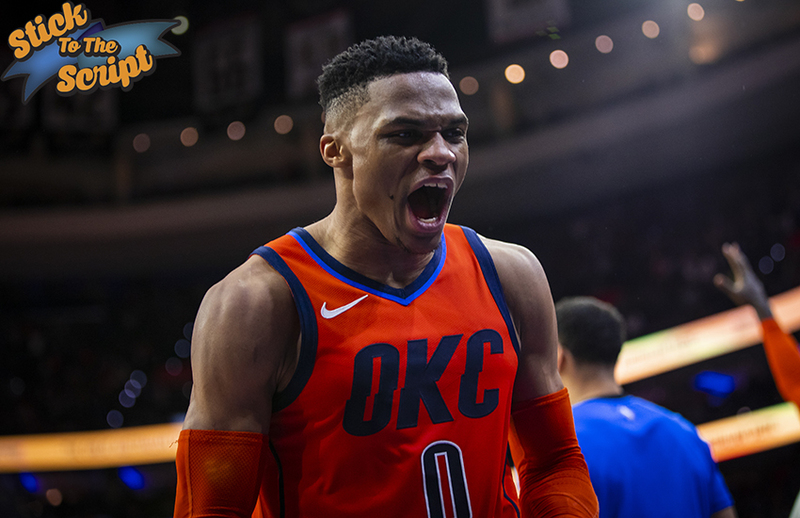 Russell Westbrook is not the angry ball player. Rather, he plays the game with an edge and attitude that is all his own. That might rub some the wrong way, like it did Joel Embiid. The two have some history. 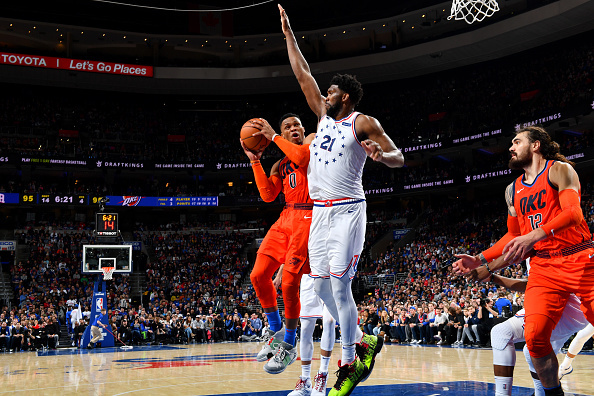 For some context, the 76ers have not beaten the Thunder in 19 tries, which always leads to some frustration, doubly so when you’re as competitive as Embiid. On top of that, in their last meeting on Jan. 19, there was a physical altercation. Westbrook had a clear-cut breakaway dunk, however he lost control of the ball, tripped, and fell out of bounds on the baseline. Embiid, while in pursuit, somehow lost control and landed on Westbrook. Judge it however you see fit, but it led to some harsh back-and-forths between the two. To put it lightly, the two All-Stars have a tepid relationship. 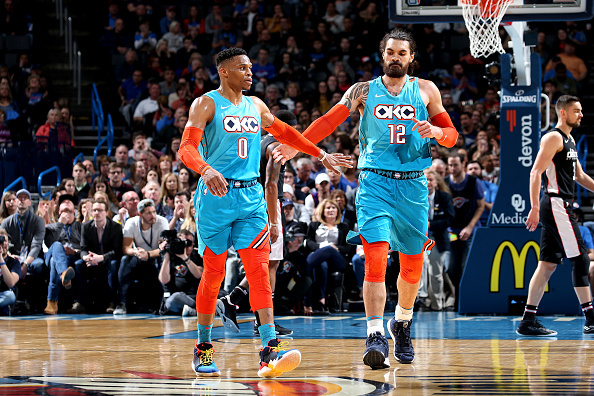 After the game I spoke with the outspoken guard, to not only get his perspective on everything, but to also paint a better picture that separates Westbrook the intense basketball player from Russell Westbrook the person. Thinking back to when you were a sixth man at UCLA, did you see this day coming—face of a franchise, League MVP, a signature shoe athlete? Um, no, it’s just a gift from God, blessings from the man upstairs, and I give him all the thanks. Why Not Me? Why not follow your dreams? Every colorway has a meaning behind it that is special to me. With the Why Not Zer0.2, I wanted to take that storytelling to the next level with an exposed tag that helps illustrate the meaning behind the colors used. The design has some discovery pieces and elements, can you provide some insight? It’s become a tradition for me to honor [my friend who passed] Khelcey Barrs III by writing ‘KBIII’ on my game shoes. 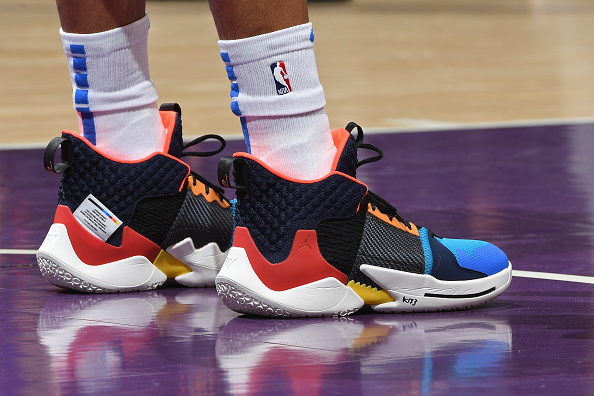 Each colorway of the Why Not Zer0.2 will have a designated area for me to write that on. I want people who wear my shoe to understand that playing with a purpose bigger than yourself is important. Steven Adams doesn’t get enough credit for the Thunder’s success. What he brings to your team? His size, his body, man. A guy like myself, I definitely don’t take that for granted. Just happy and blessed he’s on our team. You’re a husband and father of three, how big is that as you look to create a bigger legacy for your family? Ah, it means…father-first most importantly…take care of home. Basketball is my job, but I’m a family man first. You and Joel Embiid, can you elaborate on that a little bit?